Love Bomb Visualization – Please Help!! Transcribed by Kathryn E. May, October 14, 2013. It is a great pleasure to bring this message to such an enlightened audience. We are cooperating to create this special information to the readers of the Sedona Journal, but of course it will be relevant to all those who wish to raise their vibration at this time. It is a moment in history that will be remembered eternally, these days of balancing on the cusp of monumental change. Many who have been preparing for years are finding it difficult to understand why it is taking so long for all of you to be directed to the runway for lift-off. I assure you, Beloved Ones, it is all meaningful, all evolving in good time. Many of you complain that times are hard, that there are so many in dire straits, losing their homes, dealing with illness, finding it hard to keep going. You have also been told that Ascension will bring perfect healing, unlimited Prosperity and the ability to manifest whatever you need. Feel your way through the old thinking to the truth behind what is happening now on the planet. For every person in need, there is an opportunity to be of service for those around them; for everyone who is ill, there is an opportunity for friends, family members and those in loving service to come forward. Never has the environment been more conducive to raising your vibrational levels through acts of kindness and unconditional love. New ways of offering help, and new community organizations to care for the elderly, the sick and the poor are springing up everywhere. No more is it necessary to establish a non-profit and do fundraising to get the attention of those around you. As the wealth has shifted to the top few percent of the population, more and more of you are in the same boat together, struggling to hang on to your homes, wondering how you will pay your bills. This is no longer the province of the few poorest among you; there are few who have not learned to budget carefully and weigh your priorities where money is concerned. You now share the sense of living on the edge that used to be felt only by the few. It is a humbling experience for those who have been used to living well to suddenly find themselves without the means to take care of themselves. Family members have moved in together, children return to their parents’ homes and all begin to work anew on the relationships that may have been problematic in the past. Many find common ground, greater tolerance, and new ways to offer kindness and support, where animosity once marred the peace. It is a time of reconciliation, of forgiveness. Most of all, you are learning to feel deep empathy for each other. Across the globe, there is a new awakening, which is gaining momentum by the day. You are all familiar with the concept of the tipping point. Well, Dear Ones, you have reached the glorious tipping point which is going to carry you into the new year in triumph and joy. You are raising your vibrations daily, as Mother Earth is joyfully raising hers. Together you will all enter the New Golden Age in a new state of mind – having raised your level of humility, kindness and empathy. It is truly a new day coming for humankind. Do not fear the news reports of mayhem and disaster. Although there will be some upheaval as Mother Earth stretches and expands, there will not be enormous loss of life, even though there will be challenges. As hearts grow more loving, communities will pull together to protect and shelter one another, and life will go on. 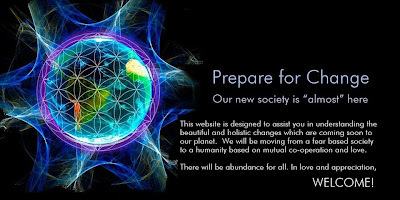 There will be a time in future years when all will be removed from the planet to allow Mother Earth to completely cleans and renew herself, but in the meantime, you will have a period of growth, celebration and joyful communion. It has been a long evolution, with many twists and turns in the path, but humankind is maturing, and the time of testing and challenge is coming full circle. Many of you know that I, Sananda, was one of the original Kumaras who came here from Venus to help rescue Planet Earth from the grip of the Dark Ones, because of our faith and great love for humankind. That love has grown over the eons, even though the conditions became extremely hard in recent generations. We now see you, determined, resolute and courageous, having completed your arduous task of remaining in Faith and in Love in spite of the arduous task of fending off Darkness at every turn. You have succeeded, Beloved Ones. You have made it possible for us, your loving friends, to return to walk among you, to join you in celebrating the New Beginning which will come gloriously and unmistakably into fruition in 2014. We are on the ships awaiting our reunion. Our beloved Twin Flames are among you, working to bring our message and spread the Light. Many are the powerful women who will come to the fore as the leaders of the new era, the great time of the ascendence of Feminine strength and leadership. I will rejoin my beloved Lady Nada, and I will be with you again, this time in peace, harmony and celebration. I am your Sananda, the one you knew as Yeshua ben Joseph. Suzanne Maresca: Good morning and welcome to another offering of Heavenly Blessings with Linda Dillon, channel for the Council of Love and author ofThe New You, Emerging Into The Brilliance of Humanity’s Heart Consciousness, and myself Suzanne Maresca. Sanat Kumara will be joining us today to explain the Universal Law of Instantaneous Transmission. The Council of Love tells us that this law creates immediate transformation. I know that many of us are feeling more than ready to transform our current reality. At this point I think we’re getting into territory of things that I may never have considered; certainly other listeners may feel the same way. But I’m looking forward to hearing what he has to say, as always. Good morning, Linda. Linda Dillon: Good morning, Suzi. Yes, we are getting into this unknown territory. And I think it’s just going to get bigger and better as we do the rest of this series dealing with Dispensation and the Law of Elimination, of Completion. So it’s getting interesting. And of course all of this is working with the Universal Laws, is the Council and particularly Sanat Kumara – who’s the Keeper of the Universal Law – teaching us how things work. And so often we pose that question, you know – sometimes quietly and reverently and sometimes screaming at Heaven, like could you please just tell us how it works? Because so often we’re working on something or we think that we’re doing all the steps, or we’re doing it correctly and with the right intention and action, et cetera, and it doesn’t gel. And that can be frustrating. So when the Council is walking us through this process, beginning with the very first Law of Purpose and the Law of Intent, they are really showing us how, as a package, we can access and make not only our lives easier but really bring forward what we desire to create. And this particular Law, Instantaneous Transformation, is really a biggie. Because it is a law of very rapid transformation. It’s as easy and as complex as turning on a light switch or turning the car key. Now we don’t even have car keys. You know the new cars – you just push that button and the car starts. But of course behind that pushing the button and the car starting there’s this whole mechanical electrical system. So that’s part of our understanding. And we have to be in the right place and we have to be exceptionally clear about what it is we’re asking for. And what it is we’re bringing forth. When I was doing my meditation today to get ready, Sanat Kumara reminded me, reassured me actually, because we’re dealing with big stuff – and it’s only going to get bigger. But that in some ways, as we’re going through this process, even though we are in our mastery, we still to some extent have our training wheels on. And so he was reassuring me and reassuring all of us I guess, and he’ll probably do that anyway, but that they’re keeping an eye on us. So that we don’t make any mistakes that are irreversible, let’s put it that way. SM: We’re in a training period and it feels to me like we’re getting into such big concepts that before we haven’t really been aware of. It can feel like this is now learning magic and doing things that we thought were impossible. The Law of Transmutation is incredible to me, that we can actually do something like that with our intention, imagination and asking for help…and actually having physical manifestation of that request showing up right away. LD: Right away. And it’s funny. Over the last week, as we’ve also been working with the Mother’s gift of clarity I’ve heard from a number of folks who were really working with that Law of Transmutation and how rapidly and how clearly it’s working. So, one of the things I was wondering about today – because yesterday the Mother came and spoke to us about our expanded ability to love and to be love – so then I look at this Law of Instantaneous Transmission or Transformation and I think, well how is that going to influence and expand our ability to participate or to use this Law. But also just throughout the Universe, how are these two things going to work. So, it will be interesting for us to learn about that. One of the things that we’re doing, when we’re working with this Law, we’re really pulling up our soul design. And I wanted to make sure that everybody who’s listening understands that concept of what our soul design is. And one of the ways that the Council has explained to me over the years, is that each of us has this unique patterning and the analogy and the visual that they have used consistently is the snowflake. And we know that each individual snowflake is unique and has a completely individually unique design. And each of us using our soul patterning, and that’s the theme right now with the new you, is that we are the re-patterners of, or the menders of the human tapestry. So it’s not that were changing our pattern so much as we’re making sure that the tears and rips and the frayed parts are re-sewn and mended. But it’s important that each of us in working with this Law, actually with working with ourselves and our journey, really understand that each of us has this unique soul design, and our soul design was anchored in us very permanently and very fully at least a dozen years ago. So it’s not something you need to seek and think well first I have to anchor my soul design. It’s already there and it’s already taken care of. SM: Isn’t it the kind of thing where if an idea of what we desire for our bodies comes into our head and imagination, it already exists somewhere? LD: That’s it exactly. And it exists not only in the – if we go back to thinking of the Law of Within and Without – it not only exists within us in our soul design, it also exists out there in the Universe and perhaps with our extended self, with our stranger. So that it’s already there. You’re absolutely right. And most of us haven’t explored fully our soul design, because it’s massive. And at the same time, it’s so intricate; you know it’s like a snowflake. It’s beautiful but it has so many little facets. We think of those crystals, the water crystals that you look at in Dr. Emoto’s language of water art, and how each one is so beautiful and so different. And that’s what our soul patterns are like, our soul designs are like. SM: I’ve also seen in meditation my own Lightbody looking almost like the kaleidoscope things with the gems inside that you can turn and see things moving around inside. LD: That’s a great example. And I know one of the ways I think of it too, you know sometimes you wake up – particularly on a summer morning – there’s all this dew and you see one of those fabulous spider webs and there’s never two alike. And they’re just, you think how did that happen overnight and they’re so beautiful and so fine. The strings, the filaments are so fine. And so unique. SM: Every combination. I love spiders. LD: Me too. Spiders created the alphabet – Spider woman; and they bring forth the alphabet and create, create, create. We have a lot of lessons to learn from spiders. And you, recently, had a real experience didn’t you. SM: Yes, my spider bite. It’s almost all gone now. Thank you, spider. LD: So when you’re working with, well with all the Universal Laws, but particularly this Law of Instantaneous Transformation, you’re really looking and pulling up and working with your soul design. And you may be looking at part of your soul design that you haven’t even looked at before. And when we talk about the soul design, we don’t just mean our physicality. We mean our mental, emotional, causal, astral – all of our bodies, all of our feelings, all of our spirit is in this design. SM: So let me ask you this. This particular Law is mostly about personal work, correct? LD: Yes. Good point, Suzi. It is about personal work and it’s about physical, personal work and it’s about activating our DNA, turning on certain aspects of our DNA. As soon as you began to work with the thirteenth octave your thirteen strands of DNA were already activated. So, not only is your soul design nicely anchored, your thirteen strands of DNA are well underway as well. And they’re braided into this, you know your twelve strands of DNA are unified into the thirteenth. So it’s like a bundle. And that comes up. The way you can think of that is up your central column of your spine much bigger than your spine but actualize it being. SM: These Universal Laws are helping us to see and know how to become extraordinary human beings, and I’m just so excited to be part of this. LD: Me too. And you know every time we do this, I mean and I’ve been working with this for awhile, but I learn so much that’s an expansion of this. And so they’re just bringing us along in this – step by step by step. SM: So shall we begin? LD: The reason I spent a few minutes talking about our soul design is that in our meditation we’re going to have a look at it. SK: Greetings, I am Sanat Kumara, and yes congratulations as you go forward in this Law of Instantaneous Transmission and Transformation and the activation by conscious choice of what you choose to experience and what you choose to bring forth in this journey of Light and Love and transformation not only of your sacred self, because dear heart the ripple effect, the domino effect is for the entire planet and far beyond. Each of you, regardless of how realized aware and awake you are, has desires with regards to the expansion of your sacred self. And there is an entire list, the recognition of your inter-dimensional self, the activation of your Ascension flag, the activation of perfect health, the activation of balance in all realms – mental and emotional, spiritual, physical, all of these my Beloved Ones are at your fingertips. And I come this day not particularly to teach, perhaps to guide, but particularly to simply say you are ready. You have been ready for some time. But we revisit this and bring it to your cognizant attention right now because you know you are ready. You do not question any longer your capacity and ability to create and to create in accordance with Divine Plan. And with Universal Law. We would not be having this conversation, because that is what it is, if you were not ready to fully engage and to be confident enough in your own discernment that you are ready and capable of doing this in tandem with all of us. There are many activations that are being sent and given and gifted to you, particularly directly from the heart of the Mother at this time. And that is creating a smoothness, an expansion that allows even greater facilitation with these activations that you are selecting and that you are bringing forth. Sweet angel, if you have asked for long red hair and you currently have short black hair and it is not for your highest good I will not permit it. I will act as the referee here. But what I suggest to you, and what I see in each and every one of you, is that your desires of activation are far more sophisticated, complex and of Love. So very little has to do with hair or height but they do have to do with well-being and perfect health and serenity. And these, dear heart, are not only part of your soul design, but your birthright. And part of the collective DNA as well. Many of you as you have come forward and chosen to be part of the old third have allowed certain disabilities of one sort or another. And you have done so to assist in the breaking of those false paradigms and illusions – those false grids. So part of what you are doing right now with me this day and from here on in is declaring that those false grids no longer exist, and as you are Beings of the fifth, sixth and seventh reality you are free to reactivate the perfection of who you are and in so doing what you are also declaring is that those rules, those restrictions, those shackles of the old third no longer exist. You are declaring your freedom as a creator in a very personal and individual way. And it is important to your participation in this and the application of this Law is key. So there are activations, collective, that have taken place and will continue to take place but primarily in this situation, particularly a shift in Ascension, you are learning and you are using this particular Law. It is not like the Law of Transmutation where you are peeling away, scrubbing, cleaning up and finding the treasure that is buried underneath the debris. In this Law what you are doing is you are activating what has been present always but not turned on. So you are throwing the switch. And not only are you capable of doing this, you are encouraged, invited, to do this. And not only by me, dear hearts, but by the Divine Mother herself. For She wishes to see you in the fullness of your design. Now as you begin this undertaking we are not suggesting to you that you turn on everything at once. First, because we want you to experience and understand the Law. But also we do not wish for you or we to overload your circuits. So one at time. One a day. One a week. But what you all find with each activation there is a triggering of other activations. So it is simultaneous as well. So, although you may feel that you are turning on one switch, one aspect, you will see that there is also a domino effect and you will begin to feel better, look better, create more clearly, have greater clarity in your mental body which has already been expanded. So what are you truly turning on in conjunction with the Mother’s latest blessing? You are turning on not only the capacity that you have come with, you are acting in an expression of greater love for your sacred self. All of this is of One. These events, these Laws, they are individuated simply for purposes of explanation so that you gain the understanding. But it is the unified grid my friends. Just as your design is the unified grid. So let us begin together. Do you have questions for me, sweet Suzanne? SM: I do indeed, Raj. If I may take a detour to speak really quickly about last week. I first want to thank you for sharing all that you have on these Universal Laws, particularly the Law of Transmutation. I use it to great effect. I’m wondering if invoking that Law can also lead to stirring up of especially deep issues and acute awareness of the debris, and not necessarily always a clearing of it at first. I’m not sure because I think I may have witnessed both. Raj: Absolutely. Do not forget, yes we have talked about the buried treasure beneath the barnacles and the debris, the mud and the sludge. But dear heart, who do you think created the mud and the sludge? So, it is acknowledging individually that you contributed to the mud and the sludge, the barnacles, the debris; but also in the third dimension everything that happened in the building up and the buying into those illusions were a collective creation as well as an individual creation. It wasn’t simply you saying ‘now I will create this drama or this illusion’. It was supported and in some cases it came to you because it was a collective belief and then sometimes you contributed to the collective belief. So yes, when you are working with the Law of Transmutation you are not simply digging and bringing out the buried treasure and polishing that gemstone; what you are also doing is cleaning up the sludge. So you are absolutely correct. So you are loving and transmuting the sludge as you work your way to the buried treasure. SM: Yes. Thank you for that. I’m trying to understand where humanity is going in terms of our abilities and why our human form is so important. As I understand it, the Ascended Masters can take any form they like and that, until now, ascending with the physical body has not been available. I do see the benefit of having physical vessels here on Earth in order to be anchors and portals for Divine energies, but once we reach a certain saturation point I’m wondering what’s next for us. Raj: It will be a choice. What you are doing in this Ascension process is it truly is a return in many ways to the original plan of the Mother. Now the original plan is not simply the journey that you are taking back to the Light or the Source as it were. It is also you understanding that you have a choice to be in and out of form. But you don’t realize that until you’ve maintained your form. And one of the things that has happened – particularly with all the illusions of the third – is that as a collective you basically say I can’t wait to get out of here. And you create great scenarios and dramas in order to do that and to accomplish that and it includes death and disease and destruction. When the Mother asked Gaia, the mighty Archangel, to assume a different form, she did so without hesitation. And one of the reasons was that the Mother was creating – think of it as a playground – an amusement park for her Angels to play. To have an experience of various, not simply human, but various forms of physicality. Other than what you think of as the energetic form and design and imprint of the Angelic realm. Regardless of which realm you belong to, whether it was Seraphim or Angel or Guardian Angel, it matters not. It was for her Beings to have a place to play. That was lost. And it was also lost to the exercise of free will. Free will will not ever be removed. And we have spoken, the Archangels, particularly Michael and Gabrielle, have spoken about how they have free will, which is surprising to some human beings. We have – the Ascended Masters, myself – I have free will. The point of the journey and what was lost is that choice. It’s always the choice of the alignment and the experience of Love. Of being in full connection with the Divine because to be out of alignment, even in the slightest, with that Love is inconceivable but also painful in every sense of the word. So that was the plan. And then the dross and the illusion and the debris, the sludge, the barnacles, of human choice as they drifted further and further away, that sense of flexibility of being in and out of form in the blink of an eye by choice, by the exercise of free will, was lost. So, that in the ascension and ascension to the higher dimensions is what is being restored. So what happens when you reach that point? You float in and out of form at will. So that is where you are headed. But if you did not have a form, you would not be able to be making those free will choices. So first you are learning to be in the alignment and in the joy and in the rapture in the best sense of the word by being in form, by being in alignment, and then you will have that ultimate choice. SM: So, that brings up the idea that there are actually limitations to being without form. Raj: Well, we have a form. It is just not what you think of as a human form. SM: Okay. I am starting to understand that, because in meditation a couple of days ago I started, well I’ve seen them before, but I just started feeling what they are – colored circles up in the air, I can see that they are orbs but I just really got the other day that they’re actually Beings and there was such an immense amount of love going back and forth between us. And it brings tears to my eyes when I’m out there and feeling it and it just tells me that we humans have expectations on what it is going to be like when we meet our Galactic brothers and those formless ones and it’s just very exciting to me that I’m starting to see that. Raj: And what you are seeing in those orbs, particularly when you see them with designs in them, is what you are seeing is in fact the soul design. It is the energy pattern of that Being. So you are really seeing the truth, the orbs have been not fully understood to date. So when you are seeing these orbs, you are seeing the Beings. And it is truly sacred. So, can we then assume a form and morph into whatever form – and because the human beings tend to have this residual of fear, still, we will often morph into a humanoid form. But yes, when you are looking truly even at one another, that is why we have spent some time and prodded the channel this day to talk about the soul design. What you are seeing is the truth and the totality of the Beings. So yes, dear heart, love your orbs. Because they are Beings. They are the fullness of a Being. SM: And they morph into rainbow colors and it’s just wonderful. Okay, so we have some callers lined up; I have one more thing if you could – I’ve heard spoken many of the desires people have around changes they wish for their bodies. I was hoping you could offer a practical use of this Law just like with the Law of Transmutation you gave us this beautiful exercise. Is there a simplified way that you can offer us to make those changes within our selves? Raj: Yes. And that is why I have used the symbology of the mailbox flags. Because it is simply something that everybody is familiar with. We understand that in many countries there is no such thing as a mailbox flag, particularly on the plains of Africa. But think, all of you do have the symbol in one way or the other, the concept of a flag. Whether it is a prayer flag or the hoisting of a flag, of a piece of cloth that is representative. But you could just as easily use a button or a key. So this is what we wish you to do. And when you are working with this Law. See yourself sitting down; it is best to sit rather than lay down. And then see yourself standing back towards yourself so you are facing your back. And you are facing your central column which is the cylinder around your spine which is where your etheric and your actual DNA is located. You think of an aspect that you wish to activate in your beautiful unique design. And understand, this Law in particular – eventually we will teach you how to do this with others. But that is not where we want you to start. There is enough work at home to be done. So you are looking, eyes opened, eyes closed, it matters not. Some of you can put out your hands so where we used to have you cup your hands with the Law of Transmutation, now we want you to put your hand – after you’ve decided what you wish to activate – put your hand, either hand it matters not, out and scan the spine. And you will feel where that point of activation, whether it is a flag a button or a key, you will feel a slight tingling primarily in the center of the palm of your hand. Your fingers may feel it as well, but definitely your ‘high sign’ as it were is the center of the palm of your hand. So you can do this with me, so you run your hand down this column of the back of your spine and you feel where those several flags, because most of what you are activating has several points of activation, so first you scan; then dear heart, go back down – not bottom up; you go back to the top, and you simply turn up the flag, push the button, turn the key, and go down; flip the flag, push the button, turn the key. There usually will be about three or four. Now if you are working for example on the elimination of a dis-ease, now there may be many flags and you may do this consecutively for several days, but keep at it. And you will know when it is done. Now you may not feel it in that very moment, but because the flag, the DNA – spiritual mental emotional physical DNA – has been activated for that perfection not merely for the healing, but for the perfection – it may take a bit. But we are not talking years. We do not have years at the moment. We are talking days. And you have seen how rapidly the Law of Transmutation works. Well, this even more. That is why we call it instantaneous. SM: I’m excited to practice this this week. Are we ready for some callers? SM: So area code 604 are you with us? Caller 604: Oh thank you. Hello Linda and Suzanne and Sanat. It’s Kathleen calling. I would like to thank you, Sanat, for speaking to us about all these Laws. They are so helpful. And I actually have a question about currency, our human love of money, currency, it is the currency of life. I was wondering if you could give us a practical application of the Law of Instantaneous Transmission to bring about personal financial abundance. Is this a flag that we can lift? Raj: Welcome dear heart, you are not activating an external flag. That has yet to come. But understand, what you are activating is your design that allows for worthiness, for abundance, and for completion. You do have a love of currency and let us be very clear that the Universal Law of currency is the currency of Love. So that is the starting point. Now what is it when you look at your soul design, you know whether and if you were looking at the collective soul design of humanity, particularly this group of close to seven billion that are on planet at this moment, the collective design is not one of impoverishment. It never was. That was the illusion of the third. So, what you are doing is activating the flag for receptivity, the openness of self-worth, and the ability to receive abundance. So you are going to have about seven flags in this regard. So there is self-worth, there is receptivity, there is the ability to give and receive, there is the willingness to move forward, because what you are speaking of is bringing forth currency in a physical realm, but first what you are establishing and recognizing is your own currency of Love. And your own deservingness, your own worth to experience, and to be able to create and play. So it is not born of neediness. What you are doing, and we have not talked about this but Kathleen you have activated this, therefore we will discuss it. There are certain flags that you are going to turn down. The mail is gone. So, turn down the flag of neediness, turn down the flag of I’m not worthy. And turn up the flag of willingness to receive. Do you understand what I am saying? Raj: And in that way you have created, you have raised the vibration to the frequency of the human beings and therefore you are holding the frequency for the collective of the willingness to receive. Now I know many of you are listening very closely to this. We have spoken to you as the Council of how you are doing the work through your field. When you activate this, you are committing yourself to also holding this for the collective and you are communicating this whether it is currency or perfect health or generosity. You are communicating this to the collective. So turn off the neediness, the panic, the fear, will I receive, will it be in time, will I be able to pay my rent; and activate the truth of your soul design. Because the truth of your soul design – we will give you currency to play with – but the truth of your soul design is, dear heart, you have the currency of Love to create whatever you want. When you came forth as those angels inhabiting form, do you really think that the Mother sent you to the kitchen? No. That devolved and it was part of the human relearning experience, but when you wanted food – you have that expression ‘manna from heaven’? The food was there. And it was tasty and it was delicious and it was instantaneous. So this is what you are returning to. You have come from a culture – and listen to what I say, even as Ascended Master and Planetary Logos – you have come from a culture – regardless of which culture – that has admired and deified gurus. So you have had gurus who have been able to manifest instantaneously and you have put them in a different category. And you have said “Master, teach me or simply give to me. What I am saying to you is that you are your own guru. I do not wish to be your guru; Sananda does not wish to be your guru, Saint Germaine does not wish to be your guru. You are your own guru. And in this, you have the capacity to instantaneously transform air into whatever you wish. So it is time to get going. SM: All right, thanks for calling Kathleen. Kathleen: I actually have one more thing. A quote from Linda’s book jumped out at me, her new book, The New You, and it said, “The Mother said the keys to Heaven are trust and forgiveness; the doorway is Love, open the doorway with your keys and step into your new life.” And I think that’s exactly what you just told us. Raj: That is correct, dear heart. The wisdom and the Laws, they do not change. Thank you for that observation. SM: So, we are on to area code 248. Are you with us? Caller 248: Hi Raj and everyone. I’m looking at the possibility of understanding universal self and the soul design that you referred to as that design of and what relation is that to our universal self? Raj: It is the depiction and the design of your universal self. So when you are looking at and working with your soul design you are working with your universal self. They are not different. Caller 248: And we’re learning to play in and out of form. And that opens up a whole new world of reality. Raj: You are now, particularly, think of this as a course that lasts a lifetime. And you are learning at this moment – particularly you, sweet angel – about being in form. Now all of you have been tremendous and you don’t give yourself adequate recognition; you have all been very good at being out of form. And even while you still have the form, you drift in and out of your body continually. Consciously and unconsciously. That is one of the reasons we often say part of creation is the daydreaming. It is the dreaming. It is allowing the inspiration and the dream to anchor back in to the physical form. You are out of body at night as you travel with myself, with Archangel Gabrielle, with Archangel Michael, with Jophiel. You are out of your body a great deal and most of you have been very happy and comfortable out of body. Because the density of the old third was so heavy on your shoulders that you couldn’t wait to slip away. Now with the new dimensions that weight is gone. And what we are asking you to do, what we are doing with you is, now you are experiencing the joy, the sweetness, the pleasure, the fun, the ecstasy of actually being in form. Not that you are trapped, but think of it as the scales. Now the scales are, particularly with me, are always in balance. But for right now, they are slightly more in favor of learning to be in form while you are doing all of this. Do you understand what I say to you? Caller 248: Oh yes, and thinking also of the importance of anchoring in Gaia as we are playing with our forms. Raj: It is absolutely necessary to drop your anchor, your cord, and to be connected firmly and completely with Gaia. Because she will hold you in love and nurturing and in safety and security. So that you are in form even as you are drifting across the Multiverse. SM: Cool. We are on to area code 520. Are you with us? Caller 520: yes I am. Good morning Suzanne, good morning Raj, good morning Linda. I just had something special happen last Tuesday night. I spend a lot of time outside looking at the stars and I’ve never had anything like this happen before. But I had a vision while I was looking at the stars last Tuesday night. And while I was looking I kind of felt like a point of consciousness; I guess you would say I slipped away from looking at the stars and I have been thinking just what it would be like, I read a lot of channelings, and I thought the veil feels really thin right now between our dimension and the higher dimensions. And I do healings and I feel connected all the time with the higher dimensional Beings. But I have never had a feeling like this before. I was looking out and all of a sudden I felt like, instead of watching the stars I felt like I was floating forward and I started seeing off to either side, sparkles of white light like when you’re looking at water you see the sparkles and they started forming globes of sparkling lights all around me. And as I was looking at those sparkles I realized that each of them represented an Angelic Being and what I was feeling from them was just completely elation and joy for me. And it was directed towards me and all of humanity. And as I kept floating forward, I realized that they were ecstatic because the vision that I was having was telling me that we’re there. It’s not on the verge, we’re already there. And so after a couple of minutes I slowly swerved back out of the vision and I was back watching the stars and tried to remember right away, okay what did I just see, I have to write this down so I don’t forget it. What did I just see. And what was I just feeling. So, even though I just had it, it was still kind of hard to remember exactly that same elation and feeling while I was involved in the vision. So I came back inside and I wrote it down and I showed my wife and then I went back to the computer to read some more channelings and the one I read was Fran Zepeda’s one from Master Lando and glowing orbs of light and I was oh my god this is just what I saw. This feels kind of like a confirmation. Then about half an hour later I went back with my wife who was watching some Japanese animation that she got from her family in Guatemala and she was watching this animation of a young boy and all of a sudden he’s surrounded by these orbs of light and stars and stuff and I was thinking what are the odds that all three of those things happened within an hour. The main thing about the visual is the joy in which all these sparkling lights, all these Angels had about humanity; so I thought I would share that today and just see what Raj thought about that and if he could add anything to it or let me know if there’s other significance he can comment about it. Raj: And thank you dear heart. And what you have done and what you have experienced was the elimination of that veil. It is not thin. It is nonexistent. And it is only the belief system of humanity that it is still there. So what you flipped into as you have said, was in fact the truth of what is. 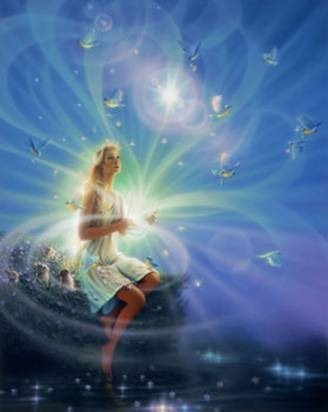 And that you are surrounded by Beings of Light and particularly you have been praying for healing and you were surrounded by the Healers of Tralana, those are those bright sparkling lights those orbs that come to you as well. And they can come to you at any time. But it was triple confirmation. So that you would know. This is not your imagination. This is your answered prayer. And for you to also know – yes the joy and the love that is felt on this side for you and for all of you and that we are inviting you, we are begging you, to participate constantly in that sense of overwhelming love and joy. Because that is the truth of your natural state. And so it was confirmed and confirmed and confirmed again. And now you have confirmed it to all who are listening and who will listen. So for this, I thank you. Caller 520: I just want to say thank you to all those Angels out there. Because it was the most real, fulfilling experience. And what’s really strange about it is I keep trying to recreate that feeling and I haven’t been successful so far about recreating that feeling I had while I was in that vision. That’s like the only vision I’ve ever had in my life and I want to get back into that feeling but I couldn’t. Is there a way to get back into that? Raj: Yes. What you need to do is to relax. You can’t force it. So go back outside. This is your milieu; go back outside, relax. Allow, allow, allow. Gaze at your star friends and then allow the veil to slip away. That is how you will recreate it. And I will help you. Caller 520: Thank you, I know you will. Raj: Go with my love, dear heart. SM: We have time for one more quickie so I’m going to area code 250. Fern: Hello, this is Fern. I feel ten feet high when I listen to you, Sanat Kumara. You empower me and us so much. Thank you. Raj: You are welcome dear heart. Fern: You talk about going into our hearts. Can you help me how to bring my heart to this still-point you are talking about, please? Raj: Yes. And it is part of what we teach you in the book that we have channelled as well, The New You. It is one of the meditations. But this is what you do. Think of it as if you are bringing, as if the energy from your head and your entire being both from the bottom up and from the top down is going down a drain. So that all the energy is draining and collecting in your heart. That is the first step. Then allow your breath – and you may practice this – allow your breath to slow, count four in, hold for four, four out; then do it eight. Until you are comfortable and your breathing is slowing. Then simply say I wish to go to stillness. If your heart and your heartbeat was a pendulum, simply stop the pendulum. The same way you would reset a clock; an old-fashioned clock. Stop it. And just be. Do not worry about breathing; we will not let you suffocate. Your body is constructed to start breathing when you need to. So just be in that place of stillness. It feels like the immense void of nothingness. In truth, Beloved, it is where everything is. So simply practice; do not let fear or ‘I can’t do this’ or ‘I don’t know how to do this’ interfere. In fact, turn down that flag and turn up the flag of still-point. Fern: Thank you so much. Raj: You are so welcome. Go with my love. Farewell. SM: So, Raj, for next week, first thank you again immensely for all the information and the help you offer us to become our true, wonderful, fabulous, Divine and Galactic selves. What is next week going to be? Raj: We are going to speak about the Law of Dispensation. This is a Law that you invoke when you wish to let go of what has been in the past or perhaps even in the future – the most graphic example we have for you during this time is the Law of Karmic Dispensation. So yes, get ready to let go dear hearts. We don’t ask you to simply create without letting go so this can be your Law of Clearing. I will be here. Raj: Dear heart, you give me joy. All of you. Do you know as Planetary Logos how long I have waited to have this conversation? Bless you. SM: I feel that. Thank you. It’s wonderful. Raj: Go with my love and go be flag wavers, raise your flag, lower your flag and play dear hearts. I will coach you. Farewell. SM: Hi, Linda. We have a minute. LD: I just get to come and say goodbye, don’t I.
SM: Yes, but thank you so much for what you do. LD: This is amazing. For us to be walked through this step by step is just – what a gift. SM: It’s a gift and a huge honor and it makes me want to cry right now. LD: I tell you, we’re given the tools to just – this is part of our Ascension. We wouldn’t have been in a position to fully implement or understand these Laws you know years ago. And even though we had the words we didn’t really fully understand what they meant. In some ways it felt like a foreign language.